Kings Sports is proud to offer a range of diverse steel soccer goals with nets to suit. We offer both senior and junior size soccer goals in box and triangular style. 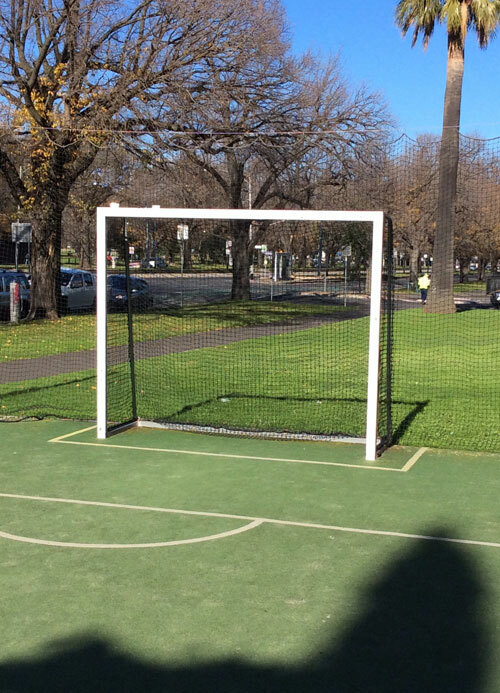 We have been supplying soccer goals and netting to a number of schools and sporting clubs throughout Victoria. We also offer a range of Futsal goals. Our in house manufacturing means we can customise products to suit any requirement, for quotes and queries please contact us immediately.